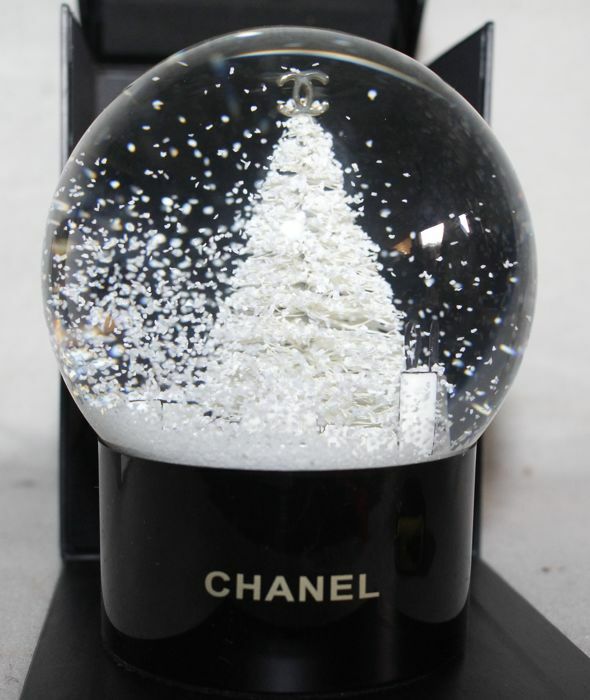 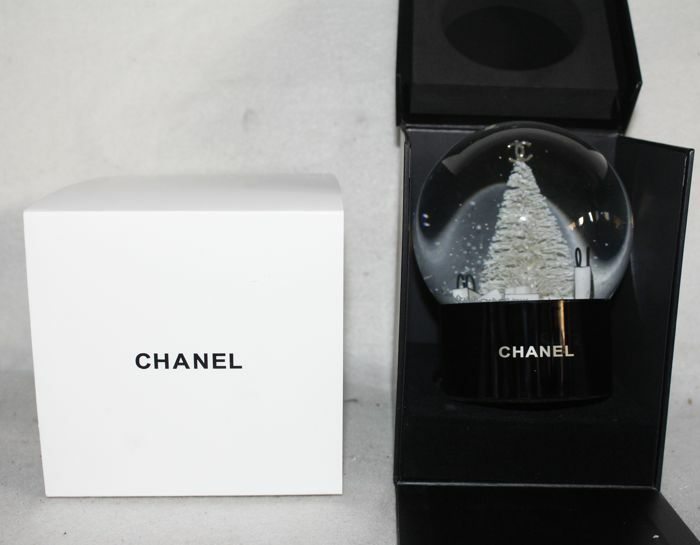 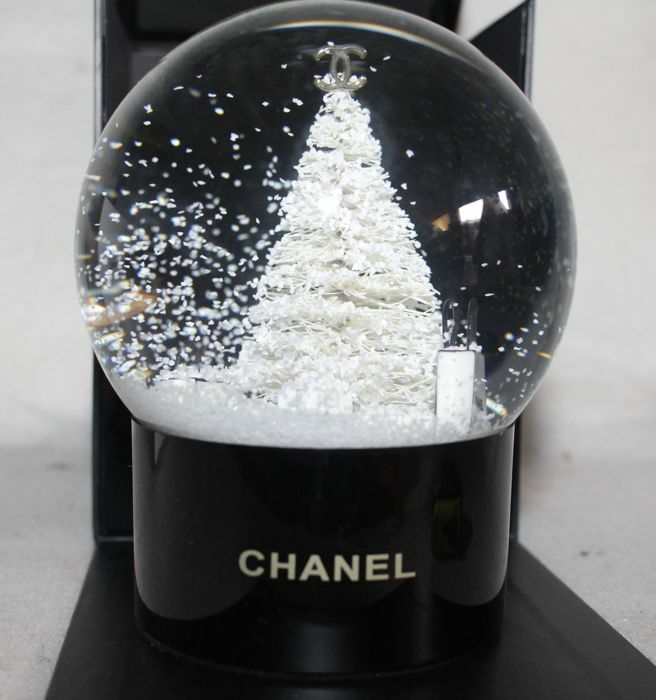 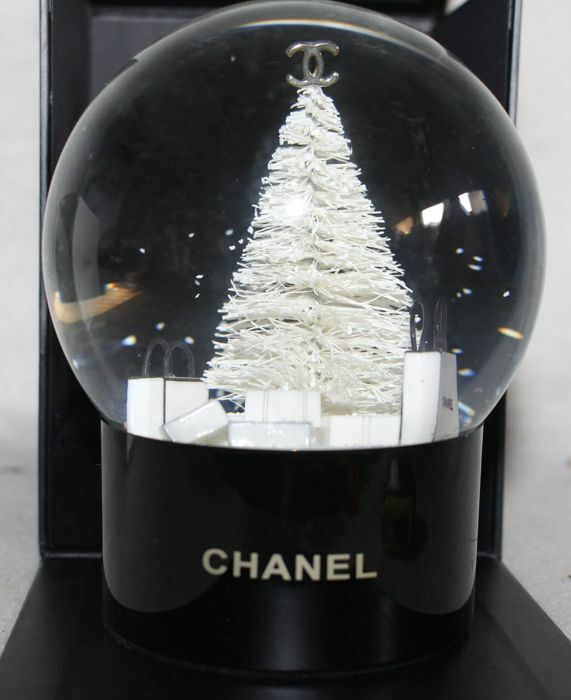 New Chanel Christmas glass snow globe in original packaging. 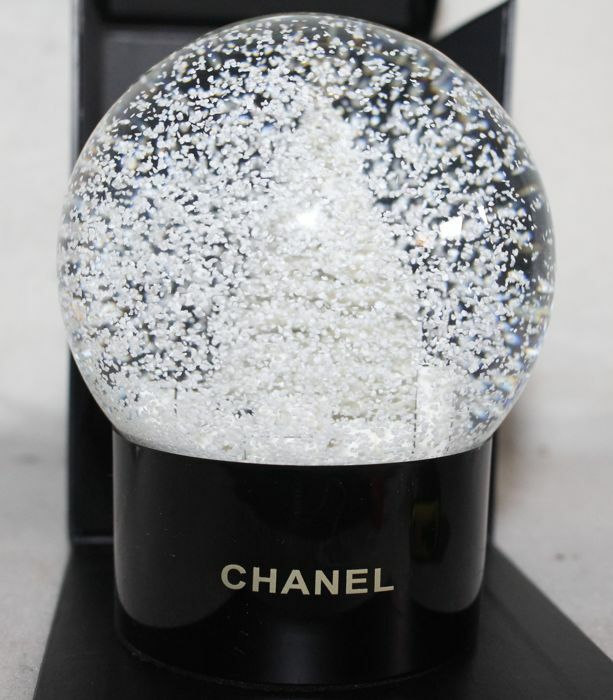 This is a rare piece and hard to find. 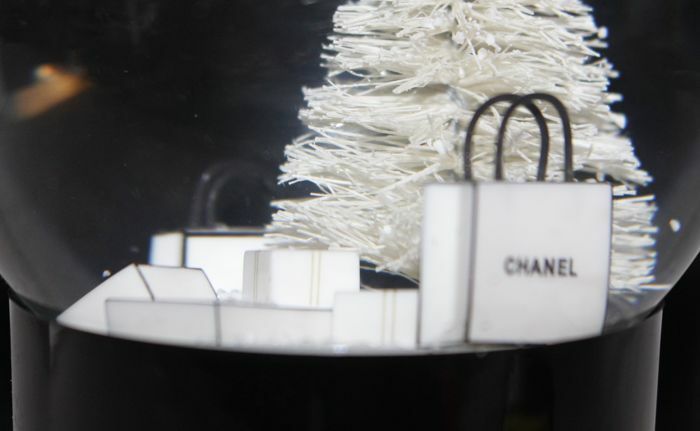 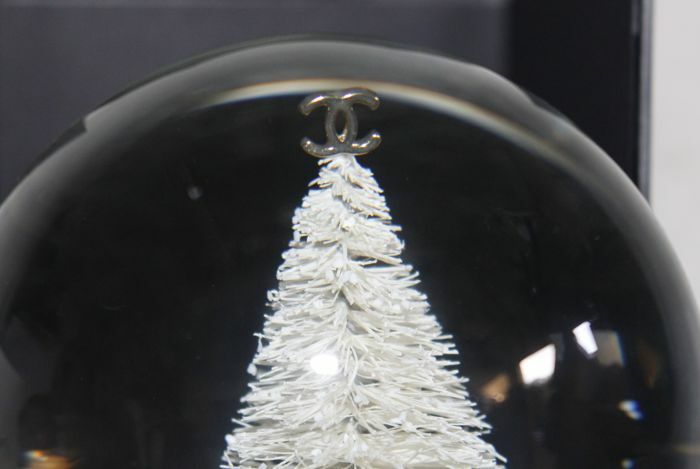 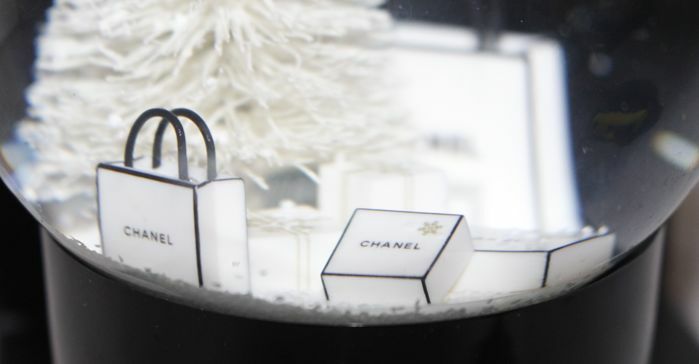 Each year, Chanel releases a new snow globe.